The National Human Rights Commission sent a notice to the Rajasthan government over the death of Akbar alias Rakbar Khan. JAIPUR: The Rajasthan State Human Rights Commission (RSHRC) has sought a report from the state government over the death of a 28-year-old man in Alwar district after he was allegedly thrashed by a mob on the suspicion cow-smuggling. Yesterday, the National Human Rights Commission sent a notice to the Rajasthan government over the death of Akbar alias Rakbar Khan. On July 21, Rakbar and his friend Aslam were taking cows to their villages in Haryana through a forest area in Ramgarh area of Alwar, where a group of people allegedly accosted them. While Aslam managed to flee, Rakbar was allegedly beaten brutally by the group on the suspicion of cow-smuggling. Taking cognisance of the alleged lynching case, the state human rights panel has sought a report from the Rajasthan chief secretary by August 8. RSHRC chairperson Justice Prakash Tantia has asked the state government to give its view point on effective prevention of such similar incidents considering the Supreme Court guidelines. Alwar District Collector and SP have also been asked to submit a factual report in the matter, the chairperson said, adding that the state government has been asked to send the report by August 8. The RSHRC had registered a case following a complaint lodged on July 24 by state secretary of Rajasthan Muslim Mahasabha N D Kadri and others in the alleged lynching case in Alwar. Meanwhile, the Rajasthan Minority Commission has said it will give its suggestions to the state government based on the Supreme Court guidelines to curb lynching incidents. "We are studying the guidelines of the Supreme Court and will submit our suggestion by next week to the state government and the police," Rajasthan Minority Commission Chairman Jasbir Singh told PTI. He said that the commission will give its suggestions on preventive, remedial and punitive measures to take all the sections of society together for maintaining peace and harmony in the state. Nobody has the right to take laws into his hands and it is also a responsibility of humans to protect animals, he added. 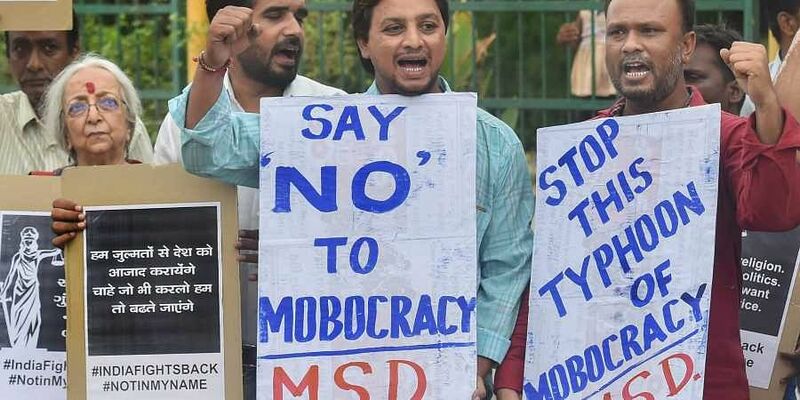 The Supreme Court had on July 17 asked the Parliament to consider enacting a new law to effectively deal with incidents of mob lynching, saying "horrendous acts of mobocracy" cannot be allowed to become a new norm. On September 6, 2017, the apex court had asked all states to take stern measures to stop violence in the name of cow protection, including appointment of senior police officers as nodal officers in every district within a week and acting promptly to check the cow vigilantes from behaving like they were "law unto themselves".